English Summary/英文概要： The perfect book for anyone who wants to know the secrets to always looking stylish with minimal effort. Former Fashion Director at Stylist magazine and a contributor to Glamour, Grazia, Harper’s Bazaar and Telegraph Magazine amongst others, Alexandra Fullerton reveals the tips and tricks that fashion insiders use to put their outfits together. Chapters include: Fashion vs Style, Signature Style, The Essential Items, How to Shop, Your Wardrobe, Secret Styling Tricks and Fashion is Fun. Focusing on fashion essentials, personal style, shopping on the high street and online and investing in designer pieces, Alex reveals all the failsafe formulas involved in always looking your best. Lavishly illustrated by specially commissioned artist Bijou Karman, a fashion illustrator from Los Angeles whose clients include: Converse, Cinespia, ELLE, Harper’s Bazaar and Rihanna. 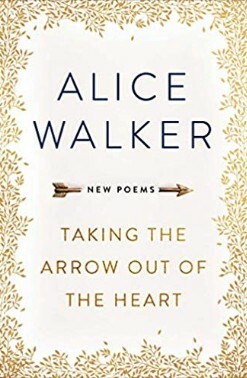 She featured as Urban Outfitters (US) `Artist of the Week’ in May 2017, has been profiled by Vanity Fair (US), Grazia (Germany) and Glamour (Italy) and has 60k followers on Instagram. Alex encourages readers to get to know their style icons alongside streamlining their own style and outlines the central capsule wardrobe which can be edited to suit each individual personal preference. 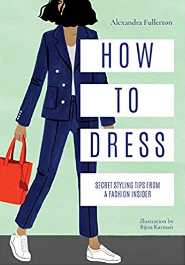 This book will be an indispensable guide to creating your own style and making sure you never look at your wardrobe and think `I have nothing to wear’ again. Alexandra Fullerton was Fashion Director at Stylist magazine for seven years. Going out on her own, she is now styling for still and moving pictures, catwalk shows and catalogues. A contributor to Grazia, Telegraph Magazine, Harper’s Bazaar, Vogue (Brazil), Glamour (Russia) and Lulu, she also styles supermodels and celebrities for Fashion Week shows around the world. Her commercial clients include Stella McCartney and Marks & Spencer. In 2017, she also became Fashion Editor at large for Wylde magazine. Alex works in London and lives in Essex with her husband and daughter Jerry.